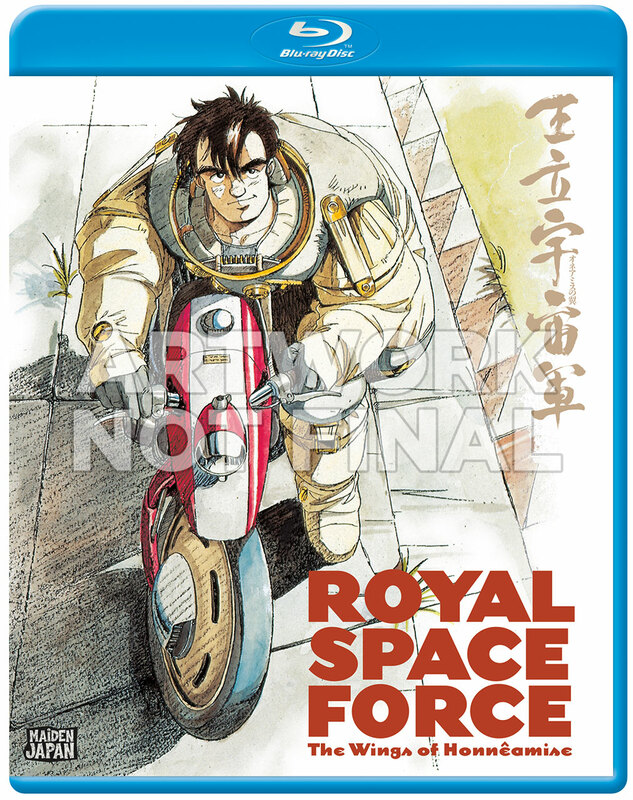 Royal Space Force: The Wings of Honneamise (Blu-ray re-release) due out on 6/4/19. So glad I didn't pay the collector prices when the first release went OOP, ended up finding it cheap in January. Nice image, I wonder if it'll make it to the final release. Last edited by BlaizeV; 03-22-2019, 09:29 AM. I kinda dig this. It reminds me a lot of FREEDOM. Last edited by bearcounty; 03-21-2019, 03:14 PM. Not a bad cover, but I prefer the one in the previous release. Pretty nice cover art there, and it definitely feels like something vintage. Still, the previous release cover art is better, but this one does quite well. Nonetheless, it's an amazing pickup for Maiden Japan as this title definitely deserves a new lease on life that it's getting. Enlarged flat/3D cover arts with disc art and back cover added to the first post.